So I’m always on the look out for great products to write about or giveaway on my blog. If I’ve tried it and I love it, then I’m gonna share it (or try to at least)! And this week I stumbled across the cutest item that I’ve seen in a while: a pair of Very Important Pastries boy/girl cookie cutters from Dutch pastry supply maker Birkmann. What makes these special is that unlike your typical gingerbread man/lady cutters- these are designed so that the finished cookie can hang off of the edge of your cup! 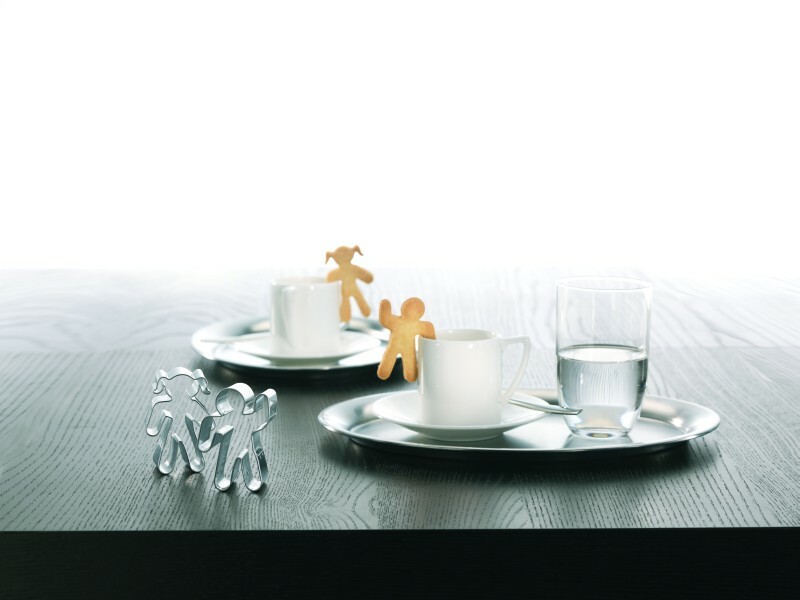 Imagine how your Christmas gingerbread cookies will outshine everybody else’s when they can hang off of cups! Take that bake sale show-offs! I purchased them at a local store and have had a tough time finding them for purchase anywhere else on the internet (if you have any luck let me know)! Now for the giveaway bit, I am giving away one set of these adorable cutters to one lucky NYC Talon reader! Yay! Now here are the ways you can enter- but please keep in mind, for every entry you complete (like following on fb) leave me one comment telling me you did so! 1) Mandatory Entry: Subscribe via email, just jot your email address down on the handy subscription sidebar and confirm! 2) Follow me on facebook, come back and let me know you did! 3) Follow me on twitter, let me know so you get your entry! 4) Share! Share on twitter, facebook, or any other social media site- then come back and let me know that you did. One entry for every time that you share! I’ve provided a tweet below, in case you’re wondering what to tweet, but feel free to improvise! 5) Comment on another non-giveaway post and let me know so! 6) If you’ve entered any of my other giveaways (past and ongoing) you get another entry- so let me know below! *Giveaway only open to those 18 or older living or residing in the United States. I was not compensated in any manner for this review or giveaway. I purchased this product on my own to giveaway on my blog. This giveaway starts 4/1 and ends 4/20/12. Winner will have 48 hours to respond to winning email, after which a new winner will be selected. Like you on FB and commented there. I entered the Benefit House Party Giveaway. Following you on twitter – check! Commented on another non-giveaway post. Thanks for the many entries. I hope I win! Subscribe via email. kristiedonelson(at)gmail(dot)com Thank you.